CSA have been appointed by Kier Living to design the landscape infrastructure being provided in association with the construction of new homes at Westhill in Kettering. 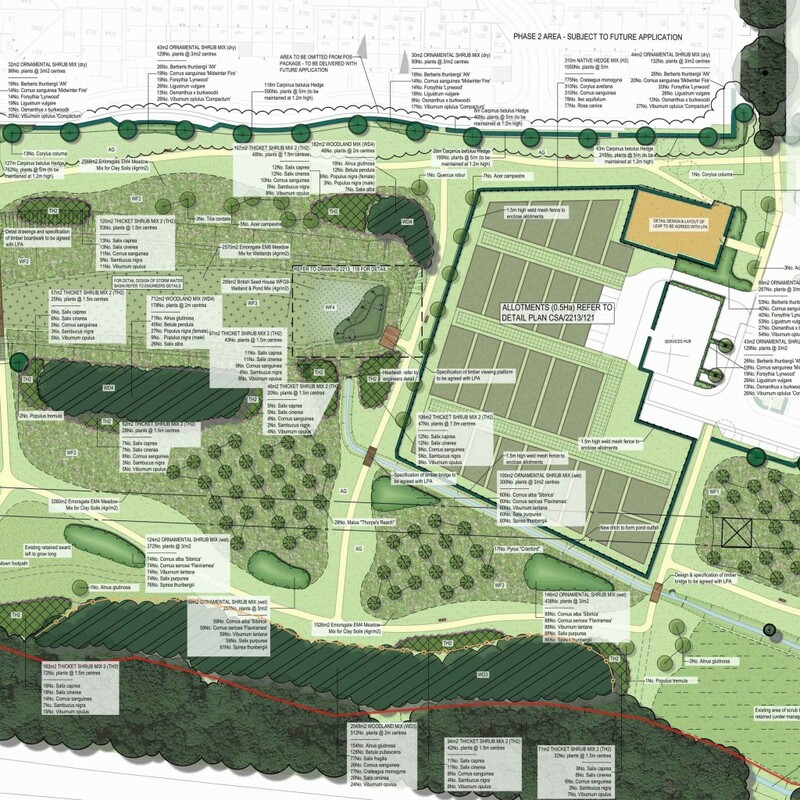 The landscape proposals include a new linear park running through the heart of the development and connecting to the larger country park. The scheme includes a large new SuDS basin which will form a focal point to the country park with a timber board park and viewing platform. The country park also includes new woodland and thicket planting, allotments, wildflower meadow and a new children’s play area.